One thing we absolutely love about Scotch Colors and Patterns Duct Tape is the fun bold colors they offer. We are filled with inspiration just looking at them, and mix that with the unbeatable durability and the possibilities are endless! 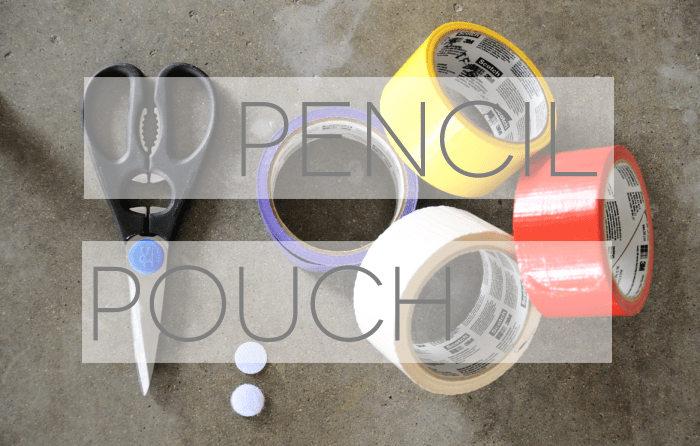 Today we teamed up with them for an easy project for making your own pencil pouch for school. Check out this little film (we’re dorks!) we made with our main man Jenner Brown of Lumineux Films and of course, step by step instructions below! 1. We created a “fabric” of duct tape by layering strips of Scotch Colors and Patterns Duct Tape on top of each other. This is easiest if you lay the strips over one another while they are suspended between two stationary points (like the table or chair legs!) We created the striped side by laying alternating colors on top of each other the same distance apart each time. 2. Once you have a front and back you can lay them together to create a fabric. So, put one of the sheets sticky side up on the table, take the other sheet sticky side down and lay it on top. We found the easiest way is to start lay it in the center and then use your hands to smooth it outwards. 3. Now that you have a rough sheet, you can trim the edges so it makes a uniform piece. 4. To create the pouch, take the sheet and fold the bottom up to the center, leaving an inch or two at the top for the flap. Make slight creases in the sheet for a marking point and then you’re ready to sew! 5. Using your crease marks as a guide, fold up your pouch and then sew it together on the sides, leaving the flap free. 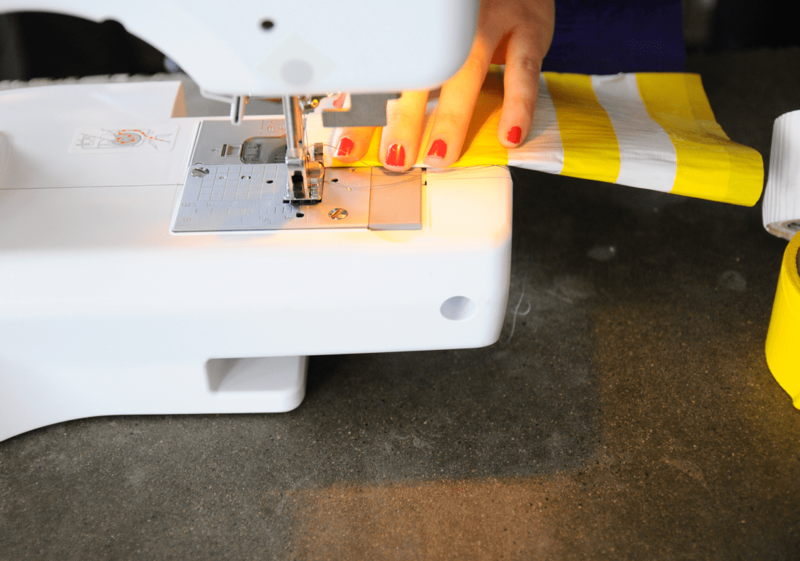 If you don’t have a sewing machine, a glue gun works, too! 6. We used pieces of velcro to close the flap, again sewing or glueing it down. 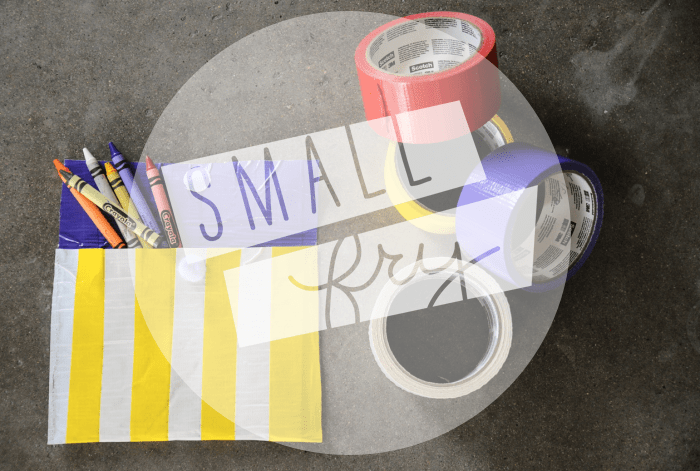 Fill your pouch with pencils, pens, lunch money, a sweet note or treat and it’s ready to go! This post is a collaboration with Scotch Colors and Patterns Duct Tape. To see more creative projects, visit www.ScotchDuctTape.com and check out their Twitter, Facebook, and Pinterest pages! Great project, I’ve never thought of using tape this way. Thanks for sharing. What a cute project. I do love the great products that scotch has come up with these days! Oh my goodness! I love this one. 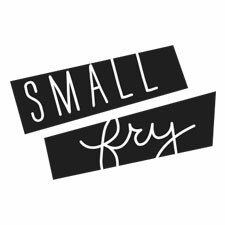 I’m not at all a crafty mom, so I love to find something that I could actually do…or in this case my boys could almost do their own. Hi, I love this idea! I’m in the market for a sewing machine, have any suggestions?